A new collection of stories from Beattie, set along the East Coast from Maine to Key West, exploring unconventional friendships, frustrated loves, mortality, and aging. Ann Beattie yet again reveals herself as one of literature’s most liberating figures. Book after book, her writing affirms a beguiling originality ... With shrewd empathy and a Geiger counter ear for dialogue, Beattie sounds the grace notes — and the fall-from-grace notes — of her characters’ lives ... When I read Beattie’s stories, I think of Chekhov’s; when I read Chekhov’s stories, I think of Beattie’s. Both are writers for the ages. Chekhov suggested that every day imposes a precarious mood, and we either submit to the point of damage, or we struggle to transcend it, trying to gain some equilibrium, and even discover a little happiness. Beattie’s characters can be adept at both. She is one of our few contemporary masters of storytelling. These gorgeously complicated, psychologically astute tales are catalyzed by holiday gatherings, weddings, birthday celebrations, and reunions, joyous occasions wildly derailed by divorce, sibling rivalry, generational clashes, financial disasters, violence, and medical emergencies. The directions in which these encounters veer are beyond unexpected, thanks to Beattie’s puckish imagination ... Beattie’s profoundly intriguing and unsettling stories abound in delectably witty and furious inner monologues, barbed dialogue, ludicrous predicaments, many-faceted heartaches, and abrupt upwellings of affection, even love. ...even Beattie's deflated endings are saved by her substantive, fraught middles. 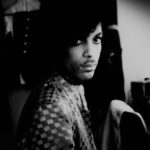 She follows her characters through the mundane and routine moments, tracking their thoughts with a degree of intimacy that's deceptively matter-of-fact. In each story, Beattie builds a psychological case that echoes beyond its final sentence, as if the outcome matters less than the events preceding it. 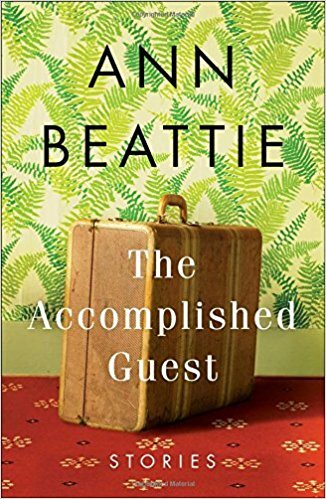 Beattie is widely celebrated for good reason — she's a phenomenal writer. Her Achilles' heel, however, may be the same focus that helped her rise to prominence. Her stories possess a white, upper-class traditionalism that is, these days, less easy to embrace ... With this collection, Beattie reminds us, again, there's no clever way to evade experience. Or loneliness. Or death. And it's foolish to expect answers when life is mostly about fumbling around in vain to find them. What did you think of The Accomplished Guest?